Slobodan Ilic is currently a senior research scientist at the Deutsche Telekom Laboratories in Berlin, Germany. He was previously postdoctoral fellow at Computer Vision Laboratory, EPFL, Switzerland, where he received his PhD. Slobodan Ilic is regularly serving as a technical program committee for the three top computer vision conferences: Computer Vision and Pattern Recognition (CVPR), International Conference in Computer Vision (ICCV) and European Conference in Computer Vision (ECCV). 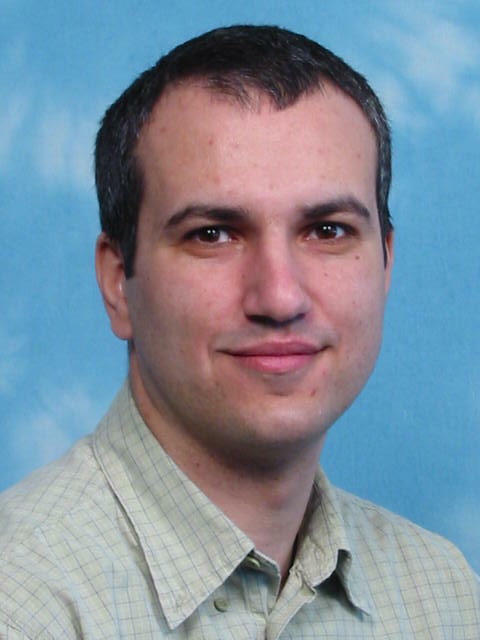 His is also serving as reviewer for IEEE PAMI and IJCV, two highest ranked Computer Vision journals. In addition Slobodan is scientific advisor on several Innovation Development projects of Deutsche Telekom AG. Slobodan used to teach Computer Graphics and Advanced Topics in Computer Vision at the undergraduate and graduate level at EPFL, Switzerland. Currently, he is not involved in teaching at TUB. Zaharescu, A. , Cagniart, C., Ilic, S., Boyer. E., Horaud, R. , "Camera Clustering for Multi-resolution 3D Surface Reconstruction", In ECCV Workshop on Multi-camera and Multi-modal Sensor Fusion Algorithms and Applications, Marseille, France, October, 2008. N.Grujic, Ilic, S., V.Lepetit, P. Fua, "3D Facial Pose Estimation by Image Retrieval", In IEEE Automatic Face and Gesture Recognition(FG), Amsterdam, Netherlands, September, 2008.